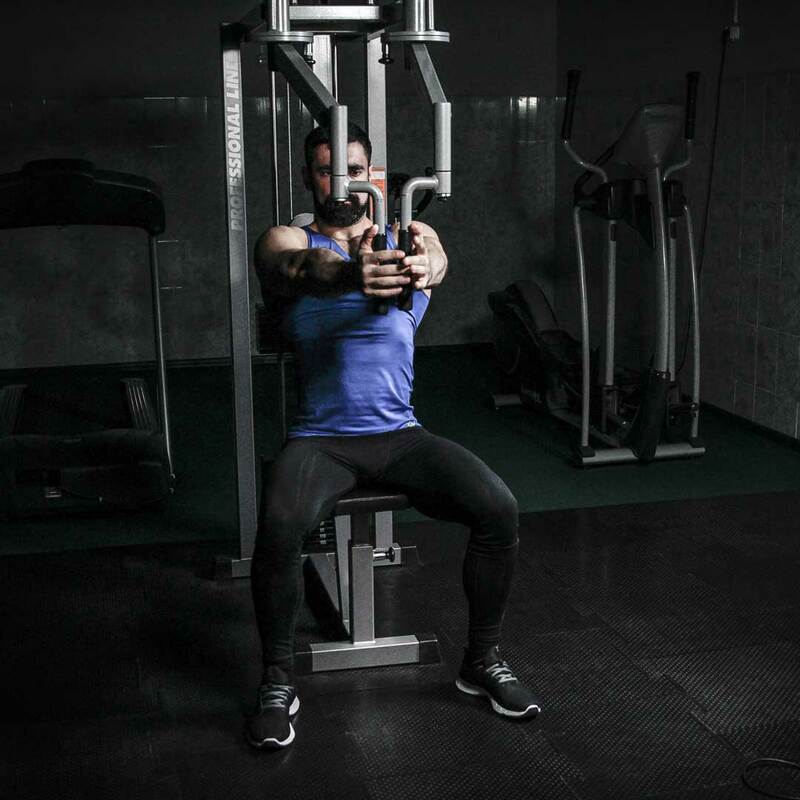 Sit on the machine with your back pressed to the pad. Take hold of the handles. 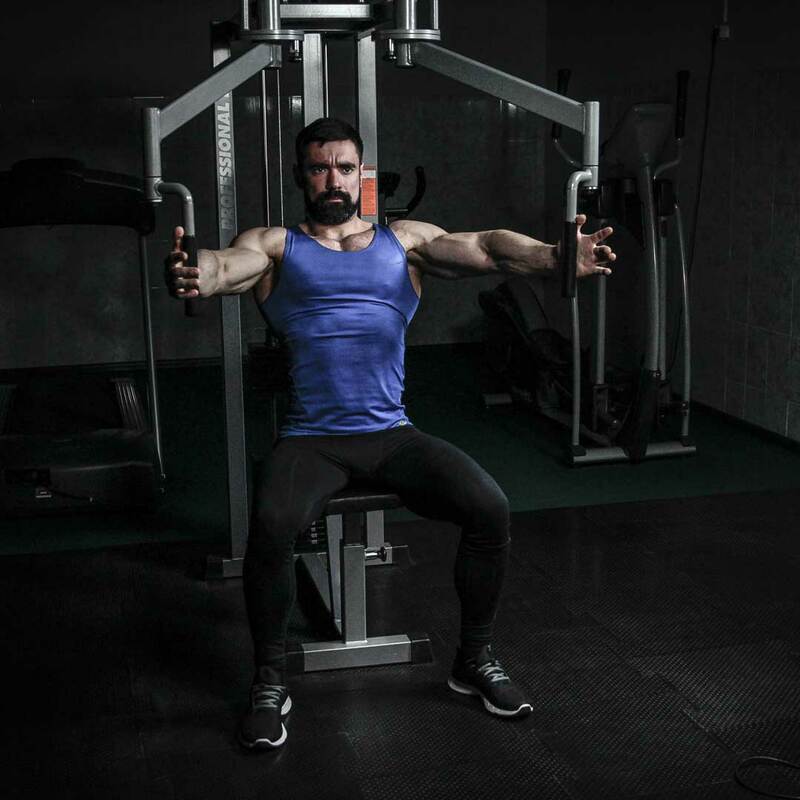 Your shoulders should be positioned parallel to the floor; adjust the machine accordingly. This is your starting position. Exhaling, pull the handles together slowly as you squeeze your chest. Hold in this position for a few seconds. Inhaling, slowly return the handles back to the starting position. Relax chest muscles fully.